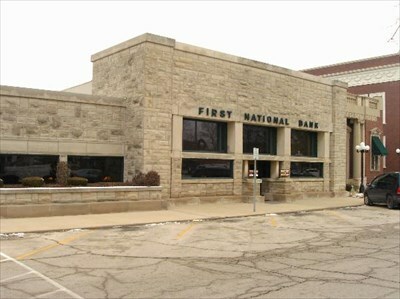 Architect Frank Lloyd Wright engineered the building of this bank in 1905. It is the only one of the three banks he designed still standing. It was expanded in 1970 and again in 1989. The general structure has not changed and the original woodwork has been kept intact.